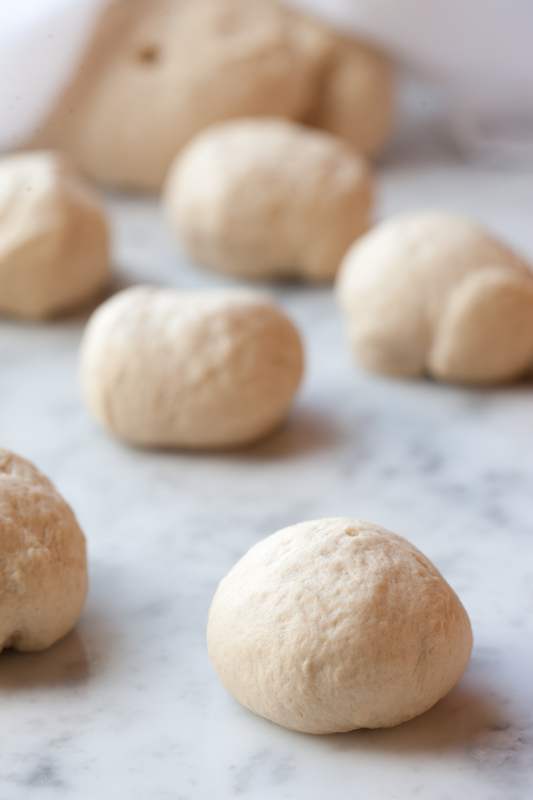 When the dough has risen to softness (20 minutes or so) place 2 rounds at a time onto the hot baking sheet sprinkled lightly with flour and bake for 3 to 5 minutes, or until they puff up like balloons and are lightly browned on top. When they come out of the oven, still hot, wrap them together in a cloth to keep them soft and pliable. (Or you can place them in a plastic bag.) 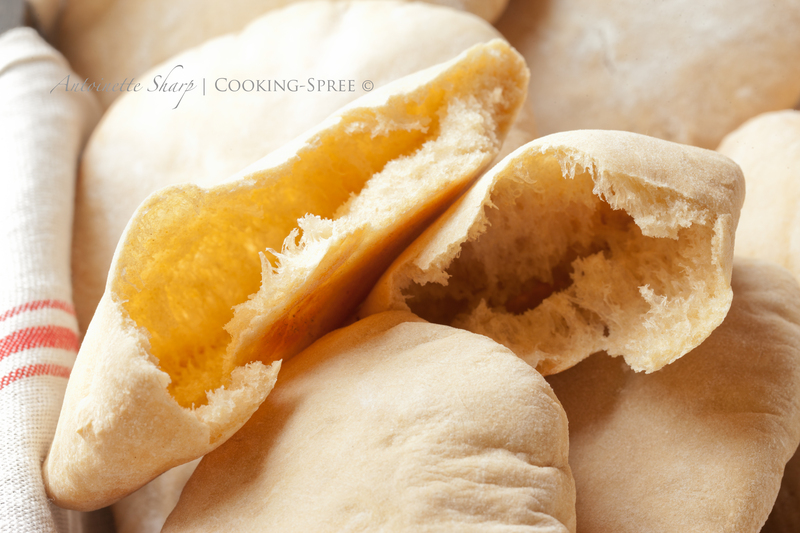 Continue baking the remaining pitas, and then repeat the process with the second half of the original dough. to print the recipe, just click here. Tomorrow’s post – a delicious and healthy hummus- & veggie-filled pocket, and a recipe for an ever-so-creamy, lemony tahini-infused hummus. And Wednesday, a lick-your-chops spinach salad from Ottolenghi that uses leftover pita! 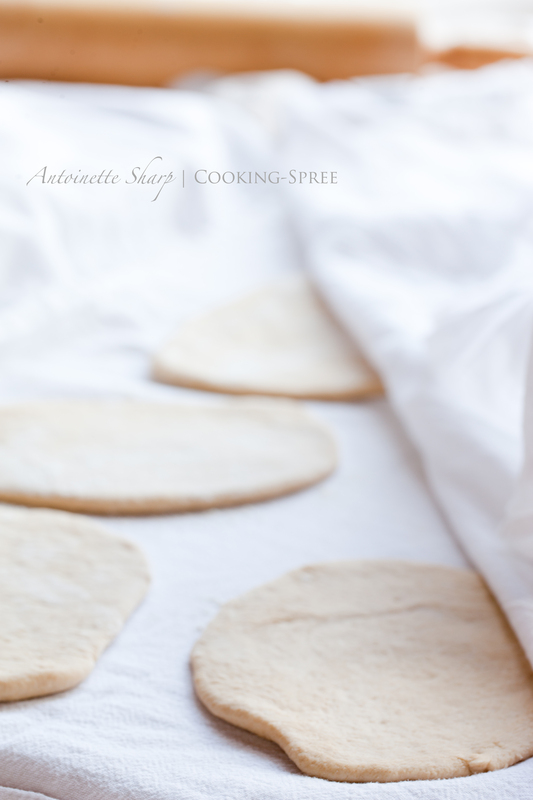 The recipe for pita comes from a wonderful cookbook by Claudia Roden, The New Book of Middle Eastern Food. It’s a treasure trove! I love that idea of baking your own when it’s something you’re consuming several times a week. These look sort of “miraculous” – how do they DO that?! – but they’re really not complicated or difficult at all. Just a bit time-consuming, like most breads. Glad you liked! 🙂 Thanks! Love everything about this …. But yeast is a no go for me – I can feel the smell from this through my netbook screen. So beautiful and your photos so delicate. 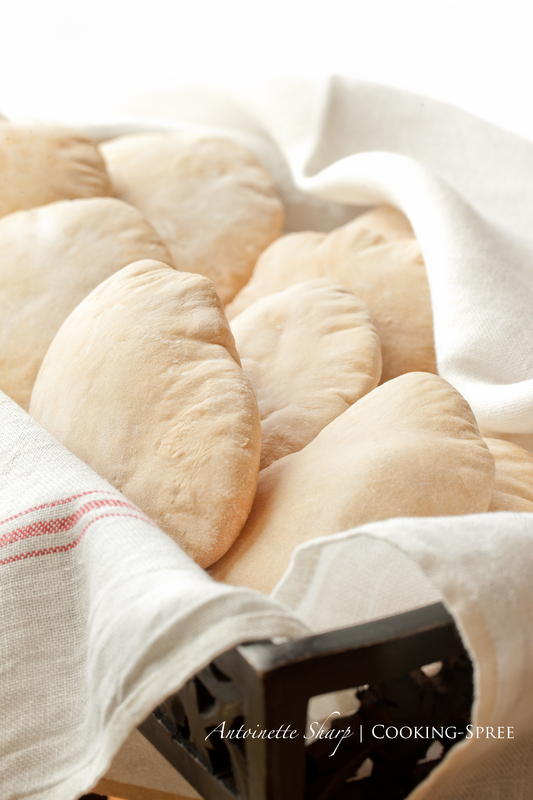 I’m going to have to get the resident bread baker (my husband) to try pitas again. These look great! Thumbs up to you for this post Spree! I’ve always loved pita and am always just disappointed with the store bought ones. These look just too wonderful! Thank you! These are beautiful. Heavenly is the word that immediately came to mind and mouth upon seeing your photos. No, making my own pita is probably not in my near future, but I’d love to munch up yours. They look so delicious. Thank you, love! I must share, I must share. If only they didn’t get gobbled so quickly! Yes yes… I do want to make little flat pancakes and watch them fill like hot air balloons whilst the fragrance of bakery spreads throughout my house! I do not want to take a plastic package off the shelf, untwist the tie only to find scentless discs. Ooh, I love that Ottolebghi spinach salad and The New Book of Middle Eastern Food is our cookbook club book this month! (I can recommend the muhammara.) I’ve been wondering about making pita…you are helping me get brave enough. 🙂 These look so beautiful! Emmy – You have a cookbook club?! Oh, I’d be in such trouble (with myself!) if I joined such a thing! But how lucky, you! So you have Jerusalem? Do you have his others? I’ll be posting the spinach salad today, but will definitely try the muhammara very very soon! Oh my lord, those look perfect. 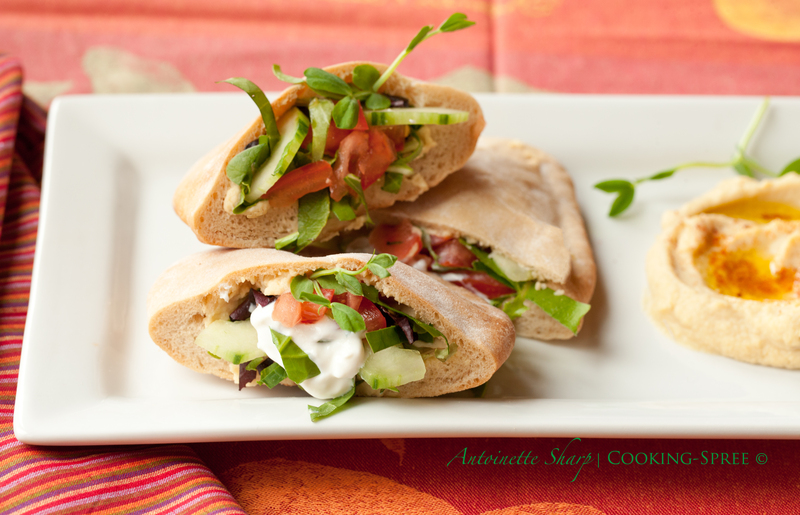 I’ve been wanting to do pita for ages, now I feel like I can’t – I can’t top those! Claudia Roden has such great books and you have worked wonders with your pretty and totally perfect pita pockets! Pita bread has always mystified me, Spree. I’m no great baker but I do bake a little bread. 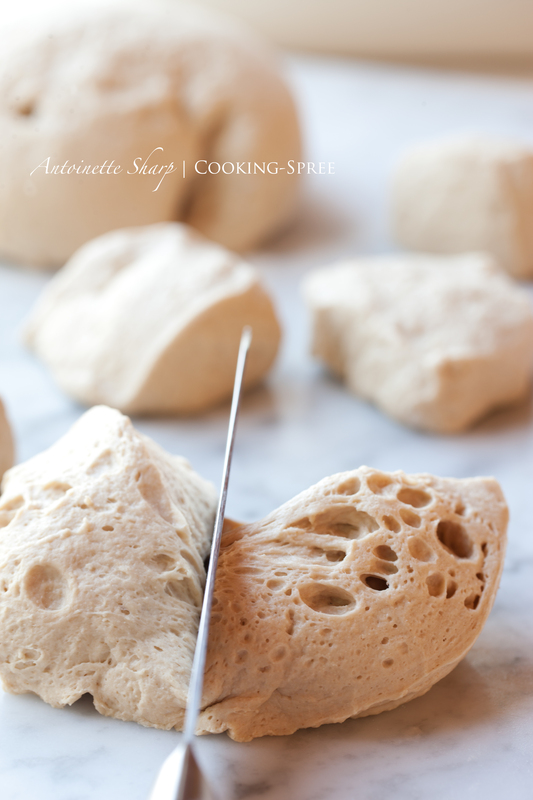 How dough used to make pita separates to form a pocket is beyond me. One of these days I have to give it a try and, when I do, I’ll know just where to come to get the recipe. Yours here look delicious and all are just begging to be stuffed. I an’t wait to see what you have planned for us. You are always so kind in your comments John! 🙂 I know what you say – there’s a mysterious element to how a flat doughy disk would agree to be transformed into a hot air balloon when it hits the fire of your oven, but they do it every time! Bless their little doughy hearts! 🙂 And if *i* can make ravioli (and you’re about to hear about that), YOU can certainly make pita if you’ve a mind to! Oh you’re so very welcome! I hope you’ll take the pita plunge — It’s pretty fun!